A study performed in Sweden, Norway, Canada, Australia and New Zealand, shows that Sweden received the lowest score regarding indigenous peoples influence on impact assessments. 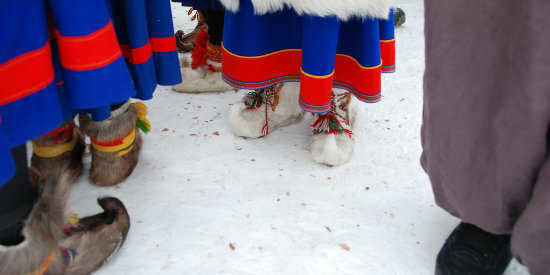 Opportunities for Sami influence is often lacking, and when consultation meetings do take place, they are often restricted to information sharing without real Sami mandate to influence the actual decision. The implementation of the right of indigenous peoples to participate in impact assessment (IA) has moved rapidly in many jurisdictions. To facilitate comparative learning, this paper offers a scalar framework of participation options through standard IA phases and examines five IA regimes in Sweden, Norway, Canada, Australia, and Aotearoa/New Zealand. It is shown how practice is moving toward co-management and community-owned IA, with developments driven by strong indigenous demands and political recognition of material rights to lands and resources. Yet, while influence in IA has allowed for shaping project outcomes it has rarely supported the rejection of unwanted projects altogether. Moreover, some jurisdictions, such as Scandinavia, retain a much more limited consultation and notification approach. Community influence tends to be in evidence generation and follow-up while developers or state authorities retain control over decisive phases of scoping and significance determination. It is argued that indigenous participation is most meaningful through IA co-management that takes places directly with the state and throughout all IA phases, complemented with strategic community-owned IA.